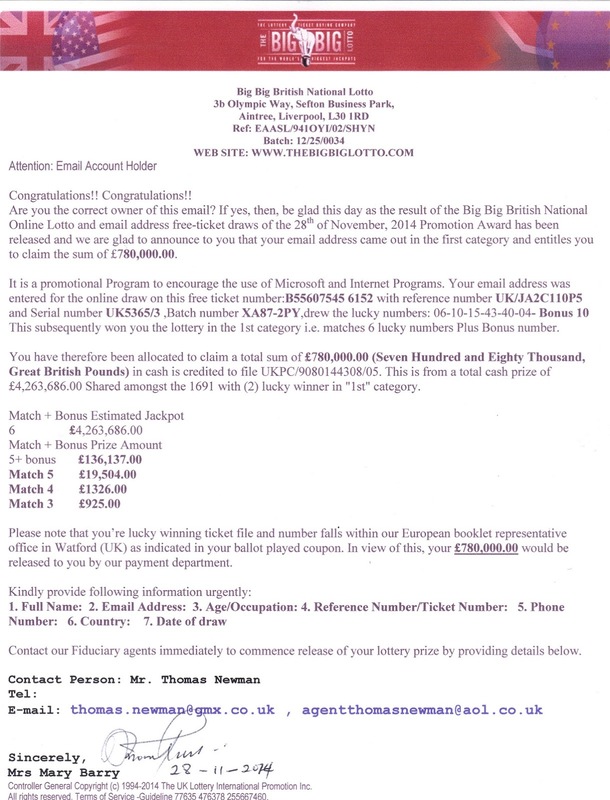 The following image is a 419 scam email that has been circulating the internet for years now. It unfortunately uses one of our brands to legitimize it. We receive emails quite frequently asking the same question: "Is it true or is it a scam". The letter as it stands is a scam and an attempt o help you part with your money. You can read more about 419 scams here.